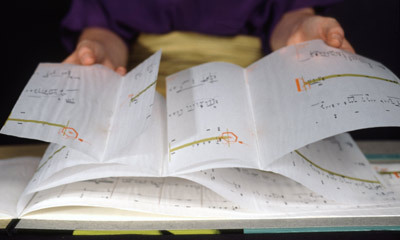 Vellum hinged pages. 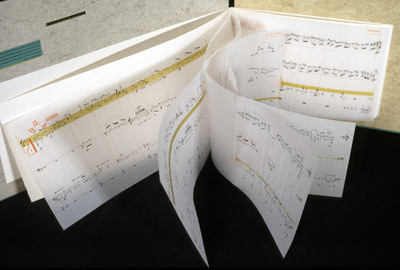 Handwritten musical notation. 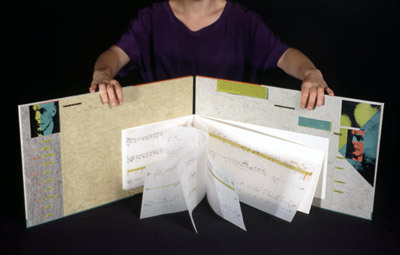 Side view showing the hinged pages. 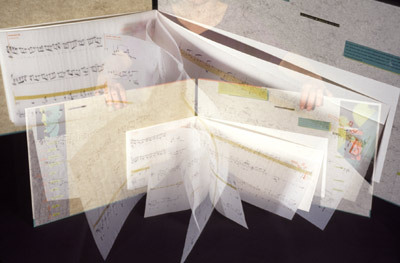 Author and piece - in-camera double exposure. 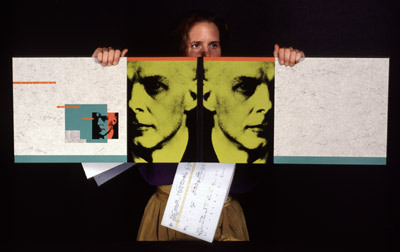 Concrete book on a musical piece by Béla Bartók. 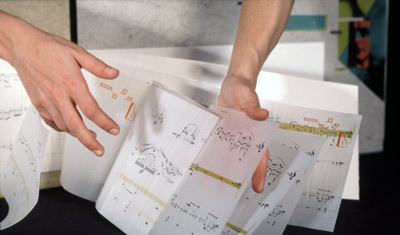 The golden section is used as a structure in the piece and is referenced in the book at the points of paper folding. The "hinges" are located at the golden mean points which divide the musical parts. Student: Laura Mitchell.